The RUFC has its roots back as far as 1875. Our aim is to provide the community with the facilities and support to play Rugby Union within the Wolverhampton and surrounding areas. Now playing at level 7 in Midlands North West League 2 with a good young First XV. We also have an excellent and vibrant social scene within the club. All new members and players are welcome. 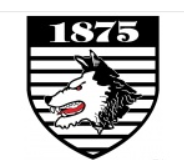 You could consider membership of the club at the price of a couple of tickets for the Wolves - as they have seen better times it may be worth supporting your local Rugby team. Senior matches take place on Saturday afternoons between September and May each year. The Mini and Junior sections train and play on Sunday mornings between those months. All coaches are CRB checked and approved. The club function room is available for hire. We can offer catering and disco facilities if required.